A friend of mine, who has beautiful gardens, has graciously allowed me to take pictures of her flowers whenever I want. As her home is on our bike route, I tuck my wee wonder of a camera in my bike pack and stop quite frequently during spring and summer. Over the years, I’ve taken many, many pictures of her flowers, so you’d think I’d know every inch of her yard, but you would be wrong. I found this out the other day when she gave me a call. The next day just happened to be a perfect day for taking pictures of the flowers on the hawthorn tree. It was sunny, but not too sunny on the tree, and there was just enough light to illuminate the flowers but not too much to have them washed out. “Funny how I never noticed this tree,” I said as I took pictures. Now, I am a fool for flowers—in my own garden, in other people’s gardens, wild by the side of the road. It doesn’t matter. For environmental reasons, Clif and I stay pretty close to home, and although I never get tired of taking pictures of flowers, each year I can’t help but think that I’m not going to get anything new, that I’ve taken all there is to take in my little world. And each year I’m proven wrong. In a five-mile radius from my home, I always find something new to notice, some new beauty to photograph. This just goes to show that even an observant person is not going to notice everything that grows around her. Each year will bring some new delight previously unexplored. This is not to slight old friends, such as my purple irises that are nearly in bloom. When those purple beauties open, I’ll be taking picture after picture, just as I do every year. But it does suggest that we need to keep open eyes and an open mind about things that are near to us, to not take our immediate surrounds for granted. 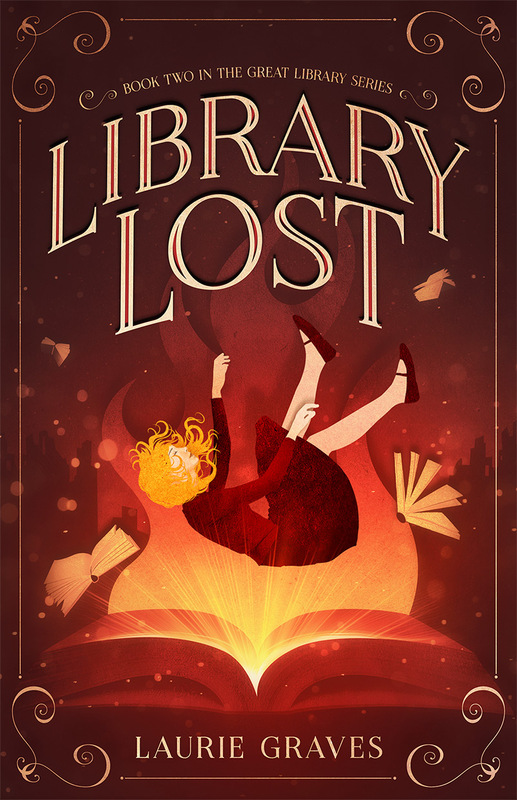 Because you never now what you might find—a flowering hawthorn tree, a bridal wreath in bloom by the lake, or some kind of neglected beauty. That is gorgeous. I must investigate. Imagine a flowering tree of such beauty in Maine. It looks tropical. Wow! Thanks! You’re very welcome! 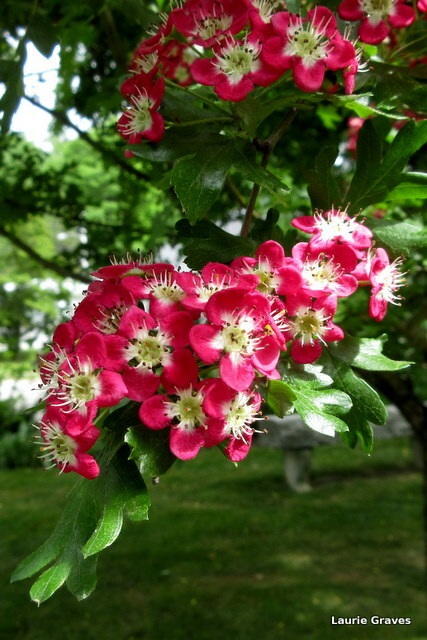 In doing research, I found out that flowering hawthorn trees are related to roses. There’s always something more to see if we just slow down. 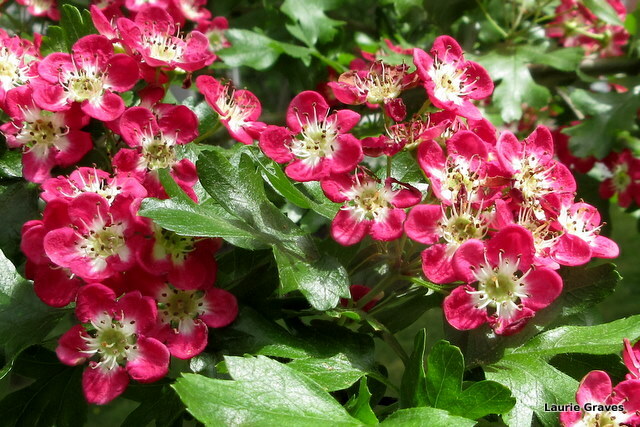 I’ve never seen a Hawthorn with red flowers – they’ve always been white. I’ll be on the look-out for a hawthorn with white flowers. Thanks, Eliza! That quotation perfectly captures the essence of my post, and I’ve recorded Proust’s quotation in my day book. Gorgeous! The hawthorns here are all white – they haven’t bloomed yet, but they should very soon. I agree – there is always something new and exciting to see if we are willing to take notice. Sometimes it’s a matter of changing perspectives, too. I love hawthorns! the smell alone is already so sweet and overwhelming. I didn’t think to smell them! Too busy taking pictures. I’m going over to my friend’s house either today or tomorrow, and I will be sure to smell those flowers. Very pretty flowers and I love the color. Yes, it is all too true that you ‘only’ have to look and see. I realize that every day.